Nandrolone phenylpropionate MOQ: 10 grams. NPP Usage: pharmaceutical material, Steroid hormone, Anabolin. As a male hormone and anabolic hormones. Delivery: Deliver out within 24 hours after payment (Week day), by DHL, TNT, FedEx, HKEMS, UPS, etc. 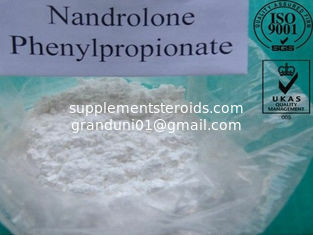 Nandrolone Phenylpropionate, or NPP, is considered to be the best alternative to Deca Durabolin in terms of benefits. 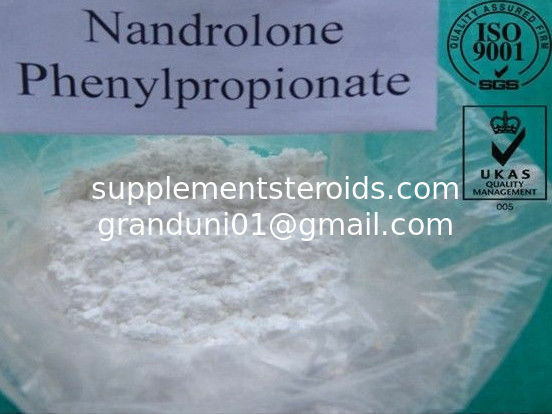 Nandrolone Phenylpropionate is widely used by bodybuilders both in bulking and cutting cycles. To achieve better result they often take it in combination with testosterone, cypionate, decanoate. It positive proprieties are often good bait for bodybuilders with connective tissue problems or other joint issues. Those sportsmen who participate in contests need to avoid Nandrolones because its’ detection time is up to 12 months after administration. Nandrolone esters in oil injected intramuscularly are absorbed slowly from the lipid phase, thus Nandrolone 200 can be administered at intervals of 3~4 days. Nandrolone 200 is a yellowish oily solution for intramuscular injection. Effective dosage for male bodybuilders is 200-600mgs/week. Female are not really recommended to take this supplement because the probability of masculinizing side effects are high, the effective dose will be 50-100mgs/week.The recommended dose of Nandrolone Phenylpropionate is 300-500 mg per week for men and 50-200 mg per week for women. It is generally stacked with Equipoise, Anavar, Dianabol, and Winstrol.